Researchers from Australia's Commonwealth Scientific and Industrial Research Organisation (CSIRO) want to pinpoint the factors that lead to the mass death of honey bees everywhere, in what's being called as colony collapse disorder. In order to do so, it teamed up with Intel earlier this year to outfit healthy bees with a "backpack" that's a third of their weight. That backpack is actually Intel's Edison wearables computing platform, comprised of an Atom processor, 1GB of memory, 5GB of storage, dual-band wireless WiFi, Bluetooth and a battery that can generate energy using vibration. They've already managed to attach chips to 10,000 bees in Tasmania, and the research is now ongoing. CSIRO's Professor Paulo de Souza compares the bee backpack to an airplane's "black box flight recorder." He says the system can help them monitor and analyze "the effects of stress factors including disease, pesticides, air pollution, water contamination, diet and extreme weather on the movements of bees and their ability to pollinate." 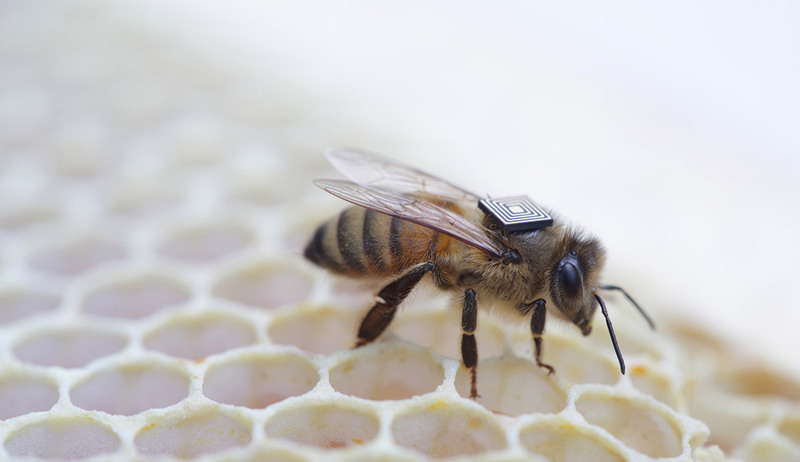 Since bees are pretty predictable, a device that can track their movements could lead researchers to identify what stressor makes them act weirdly and ultimately cause their death. Wild bee colonies around the world are dying at an alarming rate. Since they're responsible for pollinating around 33 percent of our food sources, vegetable and fruit prices could go through the roof without their help. Australia's the ideal place to look at CCD more closely, since the country's bees aren't affected by a parasite called the Varroa mite yet, which has already killed numerous colonies elsewhere. While Australia's population will serve as a good control due to the absence of Varroa mites, researchers from Brazil, Mexico, New Zealand and the UK have joined CSIRO's Global Initiative for Honey bee Health in the past few months. The scientists plan to release their findings sometime next year and will share it with the global scientific community, because honey bee deaths affect everyone on Earth.